What is wisdom? Like stupidity, we know it when we see it. But because wisdom manifests in so many different ways, it can't be adequately defined in a few words. Short dictionary definitions highlight some of wisdom's characteristics such as "keen discernment," "a capacity for sound judgment," and "the ability to discern inner qualities and relationships," but they don't get to the heart of the matter. Wisdom is internal, embodied by persons. Words of wisdom arise from it. Wise behavior arises from it. But wisdom itself is not its products. Wisdom is a mode of cognition  one rooted in perspectives, interpretations, and values. Wise people have a greater than ordinary understanding of themselves. They are aware of their strengths and weaknesses and have developed "workarounds" to stay out of trouble. Because they have paid attention to how their own minds work, they are better able to understand the mind processes of others. We contemplate doing things in the physical world and ask ourselves: Will this work? What will be the consequences of doing this? In such circumstances an understanding of basic scientific laws can at times lead to better, wiser, decisions. If we are observant, we eventually sense some general rules that apply in our relations with other people: Sexual infidelity almost always causes pain for someone. Angry words shut down communication. We rarely adopt other people's lists of dos and don'ts, but if we see these generally applicable truths for ourselves they can help guide our actions. The system perspective on reality is a powerful tool for understanding the world around us. Complexity in the natural world emerges as a hierarchy of natural systems or holons which have the property of being a whole at their own systemic level and a part or component in a system at the next level up the hierarchy. The physical hierarchy of systems moves from subatomic particles to atoms to molecules to crystals and cells, to living organisms, then to ecosystems, the biosphere, the solar system, the galaxy, and the universe. In another branch of this hierarchy, human beings start communicating with each other and give birth to those systems we call societies, economies, and nations. What is the universe up to? Where does humanity fit in? Have we become agents of the evolutionary process? Some wise people have developed an understanding of our cosmic and evolutionary contexts and found it helpful to look at the human situation from this "big picture" vantage point. There is a human tendency to simplify causation. We pick out some dominant element in a situation and call it "The Cause," when in fact there are myriad necessary elements  an entire causal matrix  with roots that go back to the origin of the universe. As a person develops psychologically and spiritually, their sense of identity tends to broaden. Their circle of concern and identity widens from me, to us  and for a few, to the entire universe and its underlying ground. Time is the raw material of our life, and a conscious awareness of our eventual death helps us to keep our life on a meaningful track and avoid meaningless, life-wasting detours. The deeply-held values of wise people are vantage points from which to view life situations and the world: Is this just? Is this truthful? Is this caring and compassionate? Etc. Nicholas Maxwell has called wisdom "the capacity to realize what is of value in life for oneself and others. "2 The embracing of "high" or "superior" values is a hallmark of wisdom. High values have two roles in the lives of wise people. First, they provide those illuminating slants on the data of life. Second, they guide the decision-making process toward wiser decisions. Human decision-making is a largely unconscious process in which a constantly shifting hierarchy of internalized values interacts with a constantly shifting set of perceived circumstances and retrieved memories. These processes and their values work together to make our decisions and control our behavior in the same way a computer's hardware and software work together to make the computer's decisions and control its outputs. 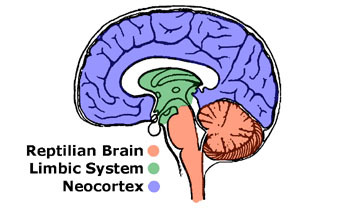 We can look at the three brain-mind processes as the hardware of our behavioral control system. And the internalized values that each process utilizes constitute the heart of the software. If you ask a person to list their personal values in order of relative importance, you are likely to get a list with some pretty impressive stuff on it. Yet if we look dispassionately at that person's behavior, it might soon become apparent that their deep-down, internalized, operational values are not the same as their professed values  or at least do not have the stated priority. People always do what seems best, and that "best" is determined by how their hierarchy of internalized values interacts with the brain/mind's assessment of past, present, and anticipated future circumstances. As Nobelist Roger Sperry put it, "Human values...can...be viewed objectively as universal determinants in all human decision making. All decisions boil down to a choice among alternatives of what is most valued, for whatever reasons, and are determined by the particular value system that prevails. "3 Superior values, "the values of the wise," produce superior decisions and superior behavior. The self-actualizing and ego-transcending people that psychologist Abraham Maslow studied were wise people, and Maslow's reports on their behavior and mindsets tell us much about the nature of wisdom and the values that underlie it. Maslow's self-actualizers focused on concerns outside of themselves; they liked solitude and privacy more than the average person, and they tended to be more detached than ordinary from the dictates and expectations of their culture. They were inner-directed people. They were creative, too, and appreciated the world around them with a sense of awe and wonder. In love relationships they respected the other's individuality and felt joy at the other's successes. They gave more love than most people, and needed less. Central to their lives was a set of values that Maslow called the Being-Values, or B-Values: wholeness, perfection, completion, justice, aliveness, richness, simplicity, beauty, goodness, uniqueness, effortlessness, playfulness, truth, honesty, reality, self-sufficiency. Being able to deal with situations appropriately, using a large repertoire of approaches and techniques. Choosing the approach that best fits each situation: appropriate planning, appropriate timing, appropriate problem-solving, dealing with commitments appropriately, etc. The world is not divided into wise and unwise people. None of us is perfectly wise or totally unwise. We are wise to the degree that characteristics like those mentioned above are part of us, to the extent that we actually live them. The specific qualities developed will differ in kind and degree from person to person, and this results in each wise person's wisdom having a distinctive character or "flavor." intentionally practicing, with effort, the behaviors and attitudes that we someday hope to become effortless expressions of our deepest, truest self. Hang out with people who are already living the values we'd like to make our own. Where do we find such people? Groups that focus on personal growth and doing good in the world are a likely bet. Among these are some open-minded, non-doctrinaire religious groups such as Unitarians, Quakers, and Buddhists. Local and online discussion and activist groups are another possibility. Some of these focus on psychological or spiritual growth. Others focus on various social issues. We can experiment, and when we find a group that feels right, get involved. Find out more about the nature and development of wisdom. As a starting point you might want to visit THE WISDOM PAGE, "a compilation of wisdom-related resources," at http://www.wisdompage.com/. Read biographies of exceptional people. Your local library has many of these, and your librarian would be pleased to suggest some good ones. Learn from the experiences of others. People all around us are struggling to up level their lives  some skillfully and successfully, others very unskillfully and unsuccessfully. The world's literature, and movies too, present us with countless additional life stories. What can we learn from them? Can we pick out the strategies and behaviors that work and those that don't? Can we start to sense some general "laws of life" behind the specifics? "I shall pass through this world but once. If, therefore, there is any good thing I can do or any kindness I can show, let me do it now. Let me not defer it or neglect it, for I shall not pass this way again." The second turning point, a decision to pursue my own psychological/spiritual development, was triggered by the words "become all you're capable of becoming" at a corporate seminar on Abraham Maslow's theory of motivation. There was also a third set of words. It didn't change my life direction, but confirmed and clarified it. It is Goethe's admonition to "Go and dare before you die." Becoming clear about the values we would like at the center of our lives  the values we want to make truly our own in a deep and powerful way  is the first step. The next challenge is to move these values from our head to our heart and our guts. In psychological terms, we must internalize them so they are not merely nice thoughts, but actually guide our behavior. Doing this takes effort, and during one of his trips to North America the Dalai Lama gave an example of what we need to do. He spoke to an audience about the need for everyone to internalize that key value of wisdom, compassion. His advice to those who wanted to develop compassion was to put themselves in challenging situations and then, despite the natural reluctance to do so, behave compassionately. By making the effort to engage in value-based action  again, and again, and again  we eventually internalize the value. Expressing the value in action gradually takes less and less effort until it becomes part of our outlook, part of our natural way of being, part of who we are. Becoming a wiser person is an exercise in inner development, and there are activities that can help us along the way. Counseling and other forms of psychotherapy can, if needed, help us reach the starting point for advanced work which we might call responsible adulthood or mature ego. A person at this stage is free of psychoses and crippling neuroses and has developed emotional control and empathy to an ordinary degree. To help us move beyond this stage we need other resources. Many people start with writings that discuss the farther reaches of human development. The writings, in turn, lead us to do-it-yourself practices: mind-quieting practices, self-knowledge practices, ego-transcending practices, and oneness-realization practices. You can find many suggestions at http://www.wisdompage.com/innerwork.html. It is widely recognized that the fast track to self-knowledge and other important aspects of wisdom is meditation  particularly the kind devoted to exploring the mind/body process, variously called mindfulness, vipassana, or insight meditation. For more information about this and related practices read "THE IMPORTANCE OF MEDITATION" at http://www.wisdompage.com/meditation.html. This essay has focused on what I call life-centered wisdom  the wisdom that results in a happier, more productive personal life and more harmonious interpersonal relations. But there is also the big chaotic world out there that needs all the wise guidance it can get. I have written elsewhere about a variation on the wisdom theme that strikes me as particularly suited to the initiation of wise action in the political, economic, and biospheric arenas. I have called it deep understanding. In short, it involves coupling the wisdom development process just described with the acquisition of intellectual knowledge relevant to the world problematique. To come to grips with the major scientific, social, and economic issues that bear on the present world situation, we must all become more holistic knowers. The way I see it, we can deal effectively with humanity's problems only if we have a deep and comprehensive understanding of the context in which those problems are set. This includes knowledge of the systemic nature of the cosmos, the evolutionary process in its most general sense, consciousness, human cultures, economic systems, and some of the more important principles, laws, and regularities that underlie functioning in all these areas. If this broader application of wisdom piques your interest, you might want to read the book Matters of Consequence; info about it is at http://mattersofconsequence.com/. Also of possible interest is the essay "Deep Understanding: Wisdom for an Integral Age." It is available online in two places: http://www.cejournal.org/GRD/DeepUnderstanding.html and http://www.wisdompage.com/deepundr.html.